Winter in the Northeast brings some fabulous ski conditions. 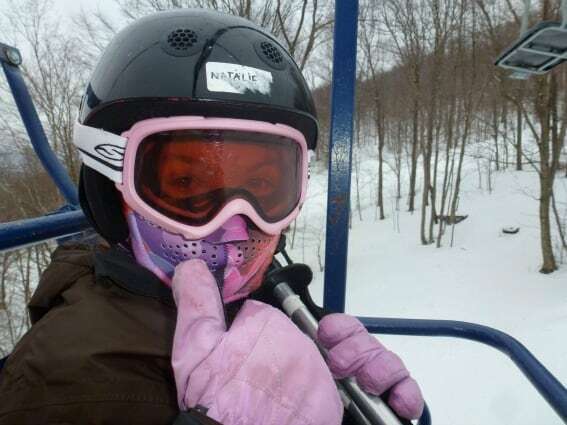 The New England states and our neighbors to the west, in upstate New York, all have some great family-friendly ski resorts with various types of activities. Between late February to early March, the weather begins to change and die-hard skiers pray for just one more storm. Yet, during this season there is a group of people who look forward to the days getting longer and warmer; these folks are the maple syrup producers. Early spring brings the right environmental changes that maple syrup producers need for the maple sap to run. Our family is sort-of becoming maple syrup connoisseurs based on some of our recent travels. No store-bought imitation syrups will disgrace our table again! That spot is revered for the much more expensive, but far tastier and more difficult to create 100% maple syrup. 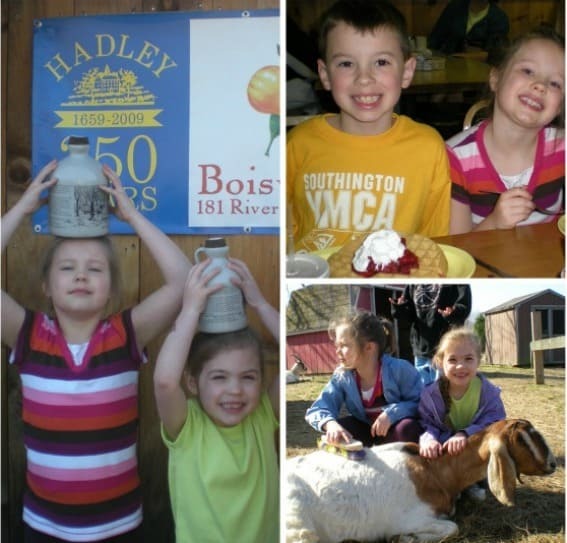 Since we do live in an area where there are several local producers, we have found some special experiences where families can have fun touring and learning about the production of maple syrup. 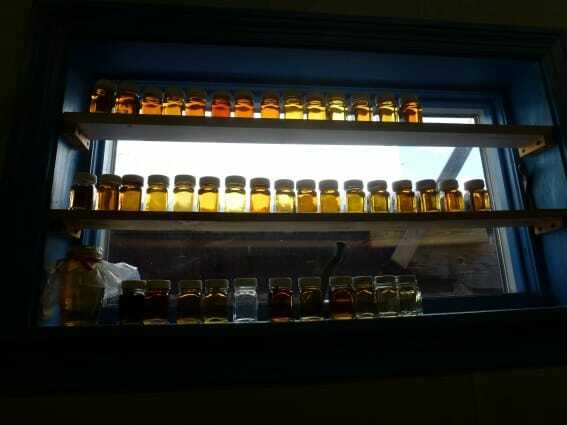 Who knew that there was so much art and science required to create maple syrup that we often take for granted? Many of these producers own equipment and land that have been in their families for years. Each follows a similar process with minor tweaks that are guarded like family secrets as they aim to create the best tasting, most requested syrup around. It is believed that long ago the Native Americans in New England discovered the flow of sap from the maple tree upon breaking a twig. One legend states a tribal chief was served a venison steak boiled in maple sap and he was quite pleased with the sweet taste. They found they could collect sap by taking a chip out of the tree, then warming it with hot rocks placed directly into the sap to produce thick, sweet syrup for which they used for sweetening. If left longer, blocks of maple sugar were created. Early settlers were taught about the sweet sap of the maple and changed the process to involve hole-drilling rather than chipping the tree. They collected it in buckets and used yokes to carry the buckets to large troughs. From the troughs, the sap was placed in large barrels and at times transported to the boiling pan over the fire by farm animals. This complex, labor-intensive process was completed quickly as the flow happens for only a short period under the right conditions. A slight change in conditions or not heating the sap quickly after collection can result in an inferior and not so tasty product. Today there are syrup producers that have learned this process from many former generations of ancestors. However, the large producers have been able to benefit from technological advances with sugar bushes (miles of tubing carrying the sap from taps to sugar house) and reverse osmosis machines that remove excess water from the sap prior to boiling by oil-fired furnaces to cut down on energy costs. Computers keep track of syrup temperature while boiling, so candy is not accidentally formed and bottling is often automated. The only part of the process I could tell was still rather antiquated is the tapping process. Each tree has to be tapped by hand annually with the sugar bush maintained as forest critters find this sap to be just as tasty as we do and they chew through the tubes. It might take many people several days to tap the trees once the flow starts and still more to maintain that complicated network of tubing. Top that with the fact that it takes 40 gallons of sap to make 1 gallon of syrup and you have a labor intensive process. That is why maple syrup costs more than the manufactured kind! In New Hampshire we headed out to the Rocks Estate famous for their Christmas trees, but also renowned for their Maple Tours. Nigel, the manager, met with us at the estate and let us drill the holes into the sugar maple trees as the sap had just begun flowing. We were thrilled to watch the clear liquid sap come out of the spout and drip into the bucket. We carefully covered it and after being fit with snowshoes from Lohouts Outfitters in nearby Littleton, tried our hand at navigating the estate on snowshoes. Nigel gave us naturalist lessons as we headed out into the woods to find the sugar house. We learned about the history of maple syrup production and experienced what it might have been like to collect and process this sap so many years ago. Back inside, we tasted the syrups and were amazed at the differences in taste based on grade and found we liked the darker syrup best. In between tastes, he gave us pickles to cleanse our palates. We were not expecting that! Jim Fadden gave us a tour of his production facility in North Woodstock. The land and General Store bearing his name have been in his family for generations. We felt we were walking back in time as we entered the operational general store with wood plank floors, merchandise, artifacts, and letters of commendation from all types of dignitaries; all proclaiming that Fadden’s Maple Syrup is the best. 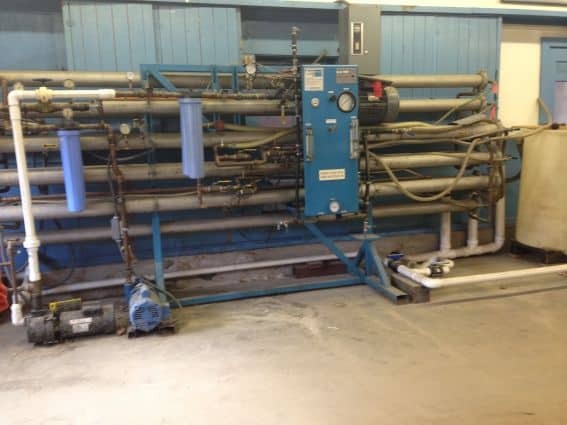 The facility was spotless and we were able to get up close to the boiler and reverse osmosis machine as we learned more about the trade. He has acres and acres of trees that are maintained, tapped, and connected every year for a short time to collect the precious sap and create the syrup for which he is so famous. 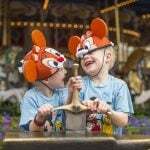 Kids will especially enjoy a tour of the 100 Acre Wood as part of the Believe in Books Literacy Foundation. The maple trail is always open for exploration, but when the sap is running and the steam is flowing, you are welcome to take a wagon ride or trek to the sugar house to watch the syrup production. They will even give you a tap for your own trees. 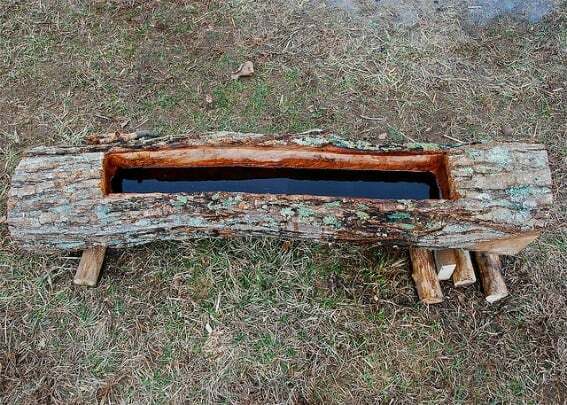 You can return sap to the 100 Acre Wood and exchange it for a bit of syrup! 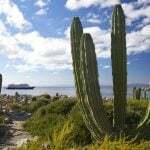 These areas are situated near the White Mountain forest so there is much to explore. We made the White Mountain Hotel our hub where we were served some of the tastiest maple syrup on pancakes in the morning. 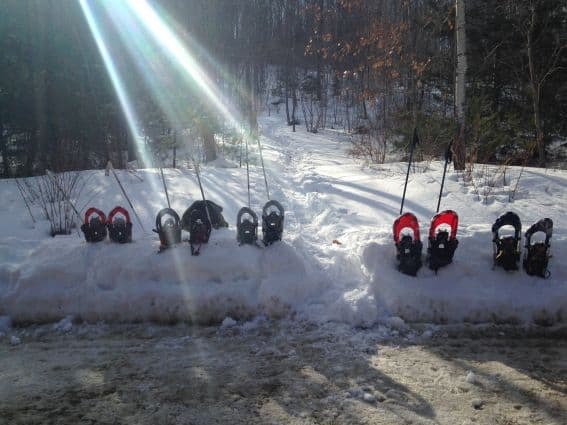 We also got to practice our new skill of snowshoeing at the Jackson Ski touring outfitter. 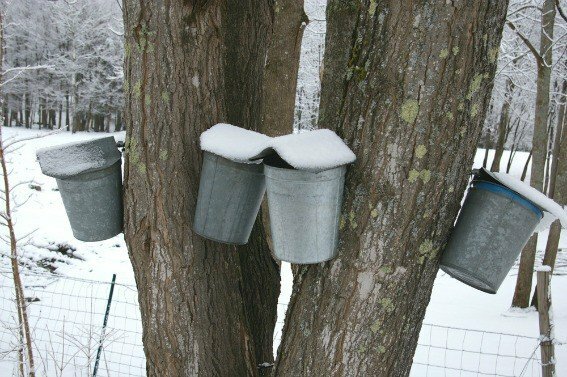 We strapped on our shoes and went out into the snow on a day just right for ample sap collection. 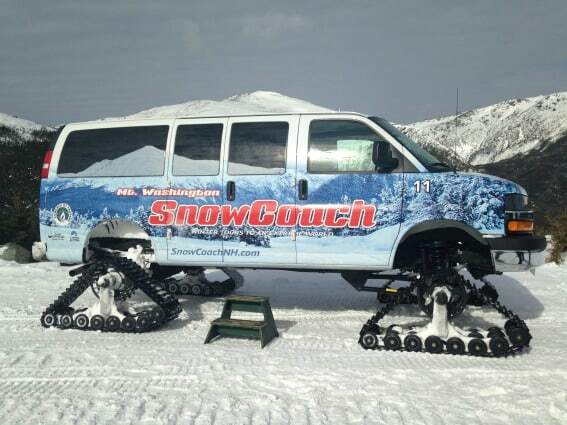 We finished out the day with a tour to the treeline of New England’s highest peak on the Mount Washington Snow Coach. This is an exhilarating once-in-a-lifetime experience. To get even more excited and adventurous, consider taking part in the March Maple Madness tour through the many Bed and Breakfasts in the area. Families can participate in the Maddening Scavenger Hunt for prizes. Guests travel from sugar house to sugar house experiencing production, finding clues, and gathering objects for the hunt. 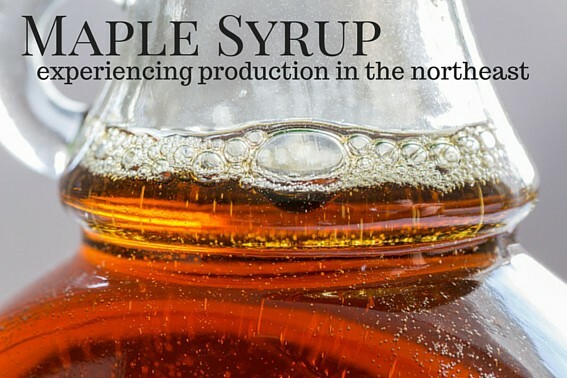 Maine is credited as being one of the top three maple syrup producers in the United States. 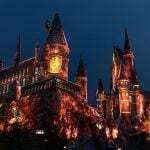 It has become big business for them and carved out a tourism segment based on their syrup production. 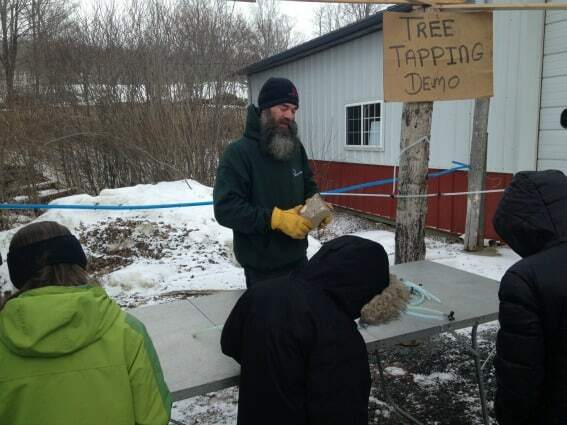 Maine Maple Weekend celebrates all things maple syrup and is designed to give an up close lesson into the syrup production. Local sugar houses invite tourists in to see the production and sample products. 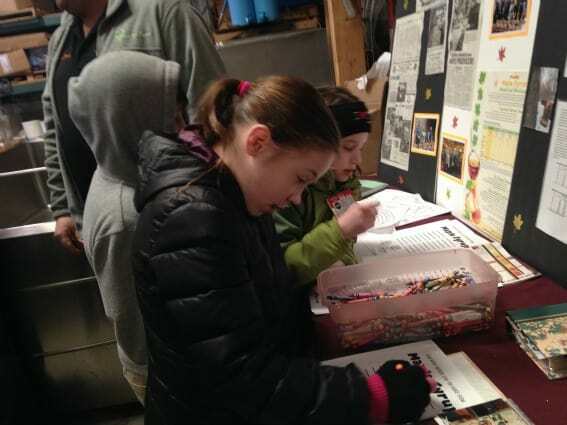 Every year, one weekend day in late March, many of the sugar houses open their doors to show off their operations, offer samples, sell some yummy treats, and share the history of sap collection and maple syrup production. Some of the sugar houses are large-scale commercial operations and others are backyard operations still collecting sap in buckets. Hilltop Boilers was named Maine’s Best Maple Syrup in 2015. Along with being open on Maple Weekend, they are open other times of the year to share their process and farm with visitors. Scavenger hunts take place in the sugar house, contests to guess the weight of the pigs are held, and you might even take part in a sap-lugging race. At Weston’s Sugar House, maple sap is still collected the old-fashioned way in buckets as it was over 90 years ago when they first started producing. 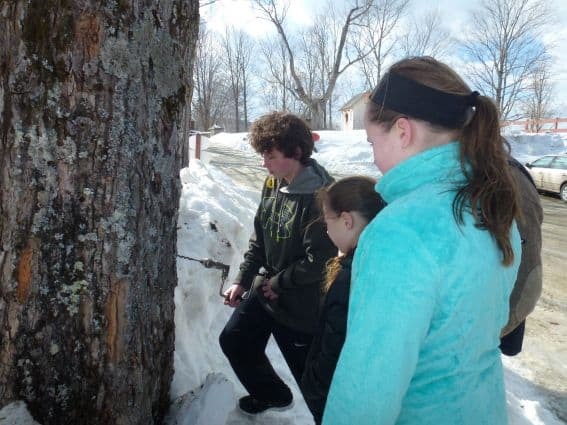 Here you can go on a sugarbush tour of their trees and sample some syrup on ice cream. 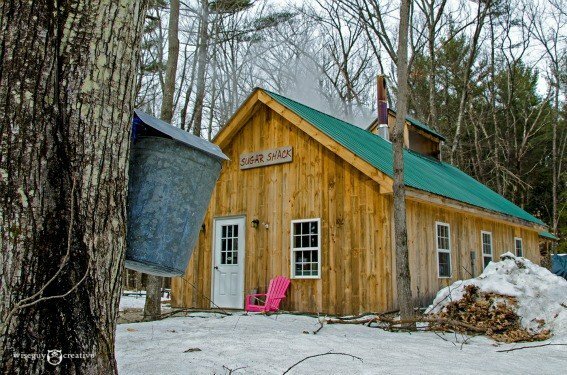 One of our favorite places to enjoy maple production is North Hadley Sugar Shack in western Massachusetts. Tasty buttermilk pancakes and maple shakes highlight the menu at the converted barn restaurant, but more fun is to be had at the connected sugar shack where syrup is being boiled. Outside there is a petting barn for the kids as well as playground equipment and ride-on toys. The living history museum of Old Sturbridge Village also celebrates Maple Days where the syrup production is done like it was in the early 19th century. Costumed docents explain why maple sugar was so important to these early settlers while families watch the action and maybe even partake in a couple of steps. 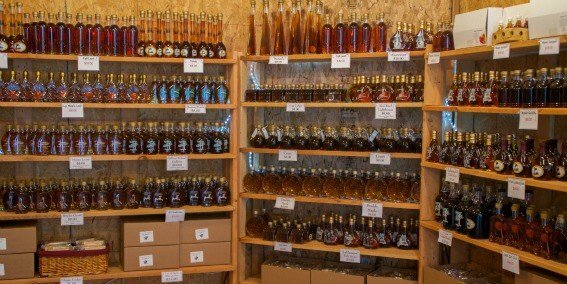 There are so many things to do at the village that once you have had your fill of maple production, you can explore the area and maybe taste some products made with maple syrup such as maple bacon, maple fudge, or maple popcorn and brownies. At the Moose Hill Wild Life Sanctuary children can experience maple sap collection, participate in syrup production, and learn about the science of maple production including sugar yield, syrup density, and technological advances in syrup production. There are a variety of classes to choose from for many age groups. Vermont takes the record for the state with the highest maple syrup production and is second only to Canada internationally. 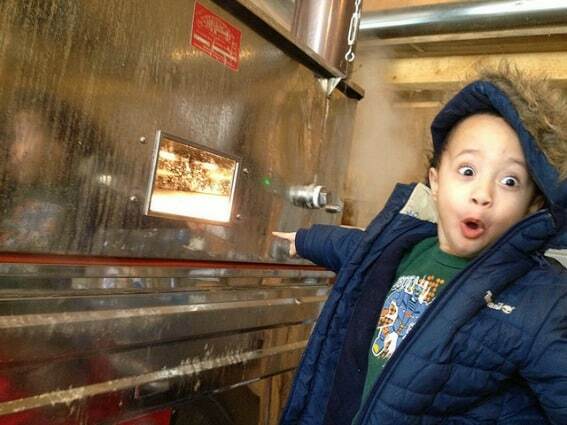 Morse Farm might be considered the bona fide experts at maple sugaring; they have been doing it for over 200 years! The Morse ancestors were taught by the local natives when they settled and from them they learned about Sinzbukwud or maple sugar. Settlers were able to make a years’ worth of sugar from sap collection and no longer needed white sugar imported. The maple house is opened year round, but the sugaring season in March allows visitors to witness the collection and production process. The on-site Woodshed Theater presents a video where the current operator’s father narrates the history and processes of Morse Farm. After sampling the product or tasting sugar on snow (Jack Wax) you can go snowshoeing or cross-country skiing on the farm ski trails. Solar Sweet Maple Farm boasts a modern, state of the art operation with solar power harnessed and saved for maple season, an underground mainline for sap collection, and cameras monitoring 15,000 tapped maple trees. Solar Sweet Maple Farm was built from reclaimed Vermont barns and is setting the standard and revolutionizing the maple syrup process for future generations. Visitors are welcome to sit and watch the process while enjoying a maple snack. The rest of Vermont celebrates open house weekend in early April as visitors can watch syrup being made and can sample maple products. I was surprised to discover that New York is second only to Vermont in annual syrup production in the USA. 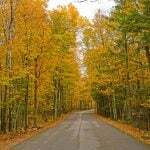 There are many maple farms in this area to take advantage of the rolling hills of maple tree forests. 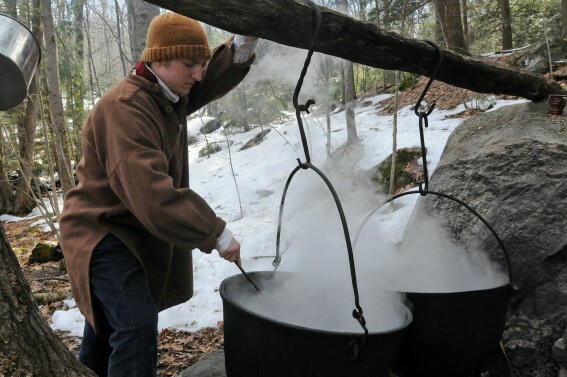 New York State has two Maple Weekends to celebrate the running of the sap. We took part in a delicious all-you-can eat pancake breakfast at Shaver Hill Farm in the Catskills. This former dairy has evolved into a maple producing farm with tours and exhibitions available on select days. We learned so much about sugar bush maintenance from an employee and were in awe of a fifth generation, 17-year-old young man we spoke to about his farm. He was so passionate and knowledgeable; he is even planning on studying maple science in college. Who knew such a major existed? Upstate New York is a pristine, beautiful area filled with farms, country roads, waterfalls, and mountains. We took a bit of time after spending a couple of nights at the Fisk House to ski at the very family-friendly Plattekill Mountain. It was great to be at the mountain in the early spring as it was not crowded and just the right size for a family seeking a few hours of skiing fun! 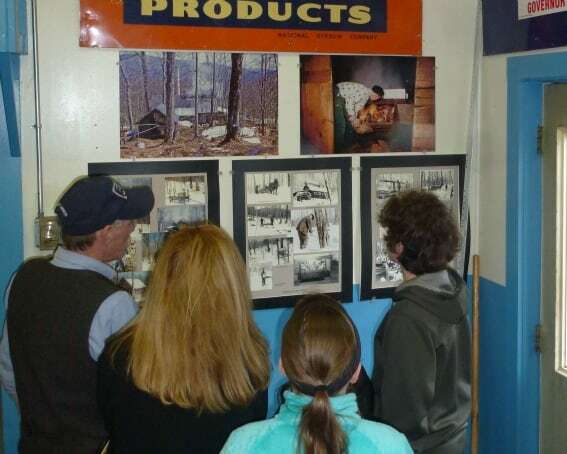 If you would like to experience an old-fashioned maple producer, think about Yancy’s Sugarbush at Yancy’s farm in Croghan, New York in the Adirondacks. These folks are fifth generation farmers who collect sap with a sugarbush but use teams of draft horses to transport the sap to the sugar house. The sap is boiled by a wood fire with wood collected and split by the farm. Visitors are welcome to view the process or walk the grounds all spring. Southmost of New England states, Connecticut warms up a bit earlier so the sap may also start running sooner than the rest. 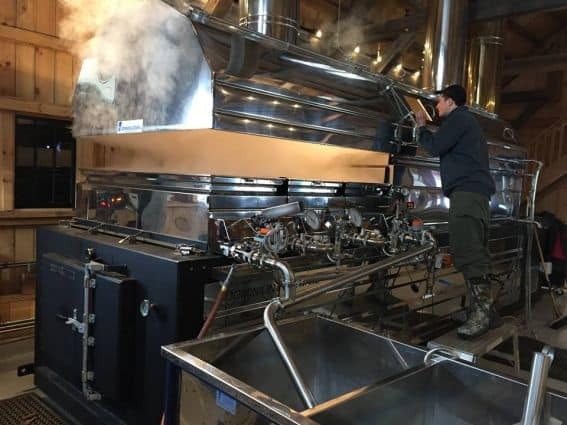 While it may be more densely populated than some of the other New England states, that doesn’t mean that there is a lack of maple trees for syrup production or of interesting places to see and learn about how it is made. The Welles Shipman Ward House in South Glastonbury hosts Maple Madness. Families can watch how trees are tapped, then collected and boiled. When that fun is done, a pancake breakfast is served in the on-site mansion built in 1733. 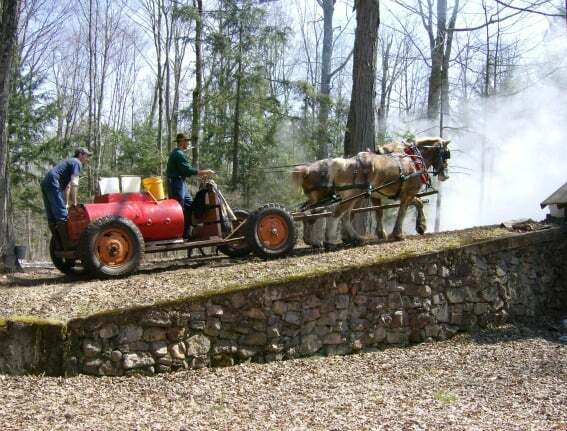 There are also antique artifacts to view including horse-drawn vehicles and one of the first motorized fire trucks. At the Institute for American Indian Studies expect a demonstration of how Native Americans produced maple syrup. 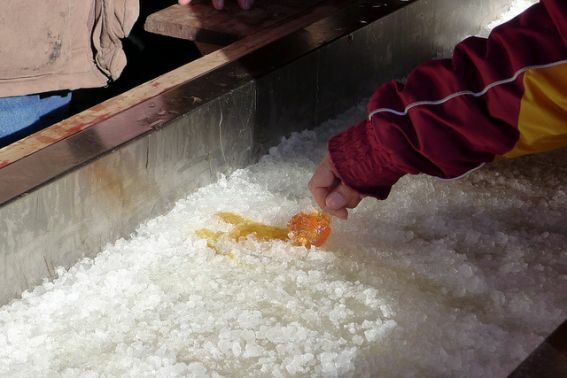 An expert from the institute will be on hand to show families how native people collected sap, boiled it down in log troughs with hot rocks, and created sugar and syrup. A must-see for those who have only witnessed the modern way of production. They usually also serve some pancakes and have crafts for the children to create. 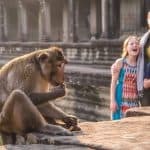 Disclosure: My family and I were provided overnight accommodations and tours in New Hampshire and New York from the New Hampshire Visitors Bureau and I Love New York travel. We were not required to state specific opinions and all opinions are my own.